The function of a large number of distinctive signs, usually called masons’ marks, carved on cut-stone blocks found in Minoan or Bronze Age buildings on the island of Crete remains a debated topic. Interpretations have varied from a simple practical use, aiding the builders in positioning the blocks, to a magical or religious function. 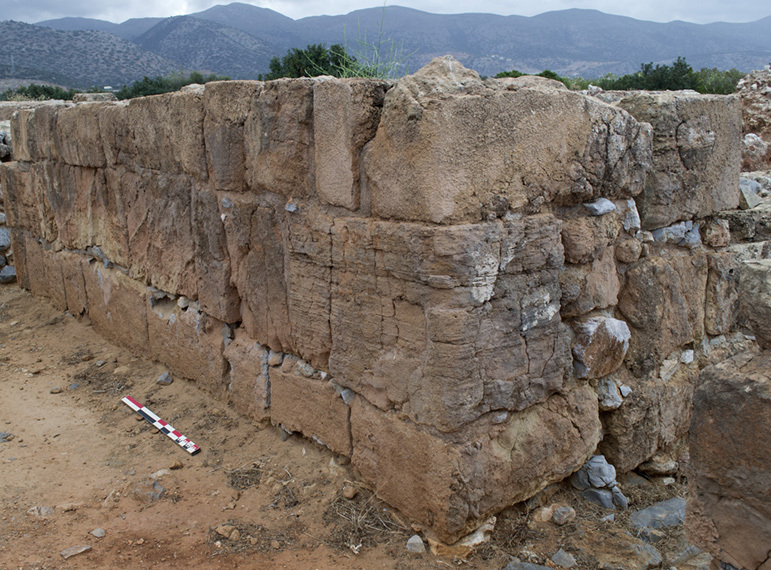 In view of the constantly expanding corpus, this article considers the use of the marks visible in the walls of the Neopalatial palace at Malia (ca. 1700–1450 B.C.E.). Topics explored include the characteristics of the marks and the blocks on which they are carved, the phases of the construction process during which the carving occurred, the proportion of marked blocks in the building, and the distribution of the marks in relation to the organization of the building project. A case is made for the largely secular function of the marks that reflects different tasks during the construction project. They are most likely identifiers for the masons involved in quarrying the blocks and the builders in charge of the construction and final trimming of some of the best executed walls of the palace.